This year in college football, New Year’s Eve will be so awesome. And while you may not necessarily be watching the College Football Playoff through confetti (or at all, because of the utterly ridiculous scheduling loophole), the Cotton and Orange Bowls will provide all sorts of intrigue this year as the College Football Playoff bowl games. Of course, the other New Year’s Six bowls (Peach, Fiesta, Rose, Sugar) all provide interesting matchups as well; this post, however, will only focus on the two playoff games. So for now, we’ll only take a look at Clemson-Oklahoma and Michigan State-Alabama. It’s playoff time again! Let’s get right into it. Last year, Clemson and Oklahoma played in the Russell Athletic Bowl, and Oklahoma got absolutely hammered with a capital h. They’re meeting in a slightly different and more important bowl game this year in Miami, but Oklahoma will still be out for revenge. The team’s “out for revenge” attitude can be tied directly back to transfer quarterback Baker Mayfield. He transferred into Oklahoma in 2014 but was unable to play until this season because of the Big 12’s transfer rules against a player transferring from one in-conference school to another. His departure from Texas Tech can best be described as acrimonious, and he’ll be more than happy to tell you about it. In any event, the key matchup in this game will be Mayfield and the Sooner offense against that of the Clemson Tigers. The duel between the Oklahoma quarterback and fellow Heisman Trophy finalist Deshaun Watson will be the main attraction to this semifinal. Of course, there is more to it than this. Another key will be each team’s surprisingly good defense. The Tigers and Sooners are ranked 8th and 31st is yards per game allowed, respectively, in college football, and both allow around 20 points per game. The defenses are an under-appreciated part of the Orange Bowl, and it will be extremely important for each defensive unit to play well, but particularly against the no-huddle: the defense that is on the field less will likely have the upper hand. It’s worth noting that Oklahoma easily has the best defensive player on the field in the game in linebacker Eric Striker. But this is really why I’m taking Oklahoma: weapons. Talent. Versatility. Oklahoma’s offense can kill you in many different ways, but the most devastating of all may be through running back Samaje Perine. If Perine gets loose early in the game, you can expect a very long day for the Tiger defense. His running will also set up Mayfield, star wide receiver Sterling Shepard and the rest of the Oklahoma passing game. That being said, it’s going to be an excellent game. Clemson is getting absolutely no respect from Las Vegas, the public, or really anyone covering the game. It’s going to be as spirited a big game as we have seen in college football for quite some time, but I think Oklahoma has a slight edge. This game is really a matchup of two very similar teams. They both play basically the same offense; often under center, never hurrying up. But what they do with their offenses is very different: while Michigan State rightfully puts their faith in senior quarterback Connor Cook, Alabama will rightfully give the ball to Heisman Trophy winning running back Derrick Henry. And they’ll give the ball to him some more. And some more. And some more. A conservative estimate of Henry’s touches would likely be set at 40, and he’ll probably reach that by running the ball alone. In Alabama’s last two games of the season, Henry racked up 46 and 44 carries in wins over Auburn and Florida. If Alabama is to win this game, they have to give the ball to #2 and hope that he has another monster day; this is entirely possible, but the task will be tougher against a stout run defense that only allowed 113.1 yards per game on the ground this season (7th in major college football). Another thing Alabama will need to do is to put faith in quarterback Jake Coker to make enough plays to win them game. His sound decision making and sudden, new-found mobility has helped Alabama get to this point, and for the first time in his up and down, good and bad college career, the quarterback will get a chance to be the signal caller on a national championship team. To have that distinction, though, he’ll have to have a solid, mistake-free game against a really good defense. As for that defense? It’s really well-suited for a game like this. While it ranks a mediocre 76th in FBS in passing yards allowed per game, Alabama will have a difficult time running it on them, as the stats above show. The main battle in this game is going to be Henry and the offensive line of the Crimson Tide against Michigan State’s defensive line, led by future NFL Draft first-round pick Shilique Calhoun. Whichever front gets a push will win the battle, and possibly win the game as well. Of course, Michigan State’s offense is key as well. They will also have to be able to run the ball against Alabama’s solid defense, one that allows the least rushing yards per game of any team in America (74). Cook might have to do it on his right arm alone, and that may be a risky proposition: the Tide are also a top-20 pass defending team. Making headway will be an immense challenge for the Spartan offense, one that may be too difficult to overcome. I’m picking Alabama. Spread offenses do well against Nick Saban, but this is the furthest thing from a spread offense. Mark Dantonio will have his team ready, and the Spartans will play angry. But I just think the Tide has too much. Personally, I believe that Oklahoma would beat Alabama in a national championship game. However, that will be a separate post after the semifinal results. As always, enjoy the games and have a safe, healthy, and Happy New Year! The 2015 New York Mets were something that the Mets have not been, aside from 2006, for the better part of fourteen years: good. Relevant. Fun. Exciting. Successful. Behind a once-in-a-lifetime young pitching staff, the acquisition of Yoenis Cespedes and the absolutely masterful job Terry Collins did managing the team, the Mets eked by the Dodgers in five games in the NLDS and then proceeded to dump-truck the Cubs on their way to a sweep and the World Series. Of course, we all know how the story ended: playoff star Daniel Murphy went cold, the pitching, especially in the bullpen, failed and the Royals essentially killed the Mets with 1,000 paper cuts. So after that five-game World Series was over, you would surely think that the team would do their best to lock up free-agents-to-be Cespedes and Murphy, right? Wrong. Well, at least they would try to replace them with high-priced free agents at the same positions, right? Wrong again. 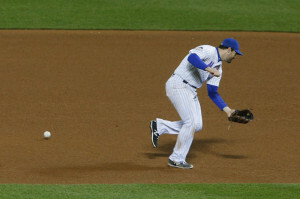 To be fair, the team has basically replaced Murphy by trading for former Pirates’ second baseman Neil Walker. The team also pursued the free agent who may have single-handedly stopped the Winter Meetings in their tracks, second baseman Ben Zobrist. Zobrist decided to take less money than the $60 million the Mets were offering and signed with the Cubs for four years and $56 million. However this isn’t a huge deal, as Walker can step in to Murphy’s place and provide the same production he did, so that move should work out. But who would the team acquire to replace Cespedes? If you guessed Alejandro De Aza, you’re either a psychic or have inner knowings of the team’s front office plans. The team announced the signing yesterday, along with its terms: one year, $5.75 million. The opportunity to make that $7 million with performance-based incentives. In other words, not someone who is going to be able to replace the production left behind by the departure of Cespedes. To be clear, De Aza is a quality player, but probably one that is more suited to a bench role. A career .267 hitter, he’s only averaged slightly over five home runs per year in his eight years in the majors. In a platoon with current center fielder, right-handed hitter and 2014 Gold Glove award winner Juan Lagares, the left-handed hitting De Aza would probably get more playing time and bat near the bottom of the order. The move for the team is not necessarily a bad one at a small level, but as part of the bigger picture, it doesn’t really work. The team needed to somehow replace Cespedes’ big bat in the lineup, and they couldn’t even do it in the aggregate. But this isn’t about a team’s free agent moves after making the World Series. This is about the owners of that team, Fred and Jeff Wilpon, along with president Saul Katz, simply being unwilling to put in the money needed to keep the team near the top for several years to come. Back in 2008, the team’s investments with Ponzi schemer Bernie Madoff were discovered to be a fraud. More than $500 million in assets Wilpon and Katz thought they had—and had borrowed against—vanished. Accordingly, just to stay afloat, they needed to take out a $430 million loan against the team and $450 million against their majority ownership stake in SNY (a network started with a loan from Madoff, incidentally). The Mets will be paying these crazy debts until 2045. It will take the team so long to pay off these debts that they will be finished paying off the rest of Bobby Bonilla’s contract before the debts are paid. It’s a bad situation, and the main reason why the team hasn’t been spending big bucks in free agency for the last several years. This is the problem, though: it isn’t like the team is not making money. Even with the debt payments, the Mets experienced an attendance increase of 19.5% a year ago (and a similar, if not larger, increase should be expected next season based off the results of 2015). Also, the team’s most conservative estimates state that they added around $20 million in revenue from the team’s playoff games. That same article says that ratings on the team’s television network, SportsNet New York (SNY, for short) increased by about 56 percent over the past year, which means more revenue because advertisers are far more likely to pay for commercial sports on the team-owned network. Mets fans are some of the best in baseball. They’re smart, dedicated and they aren’t shy about letting ownership know how they feel about the job they are doing. They’re extremely upset right now, and they have every right to be. The opportunity to win a World Series doesn’t come around very often, but the opportunity is even more rare when teams who have a chance to win one fail consistently to spend the necessary money to be in contention year after year. It’s a shame for their fans that the Mets are blowing the opportunity to win, but this is especially disappointing when you consider the fact that the team’s rotation is not going to be together forever. But, if the past actions of Mets ownership is any indication, there’s no reason to think that the team’s frugal ways are changing anytime soon. Rarely is this ever said about the NFL’s disciplinary decisions, but they actually got something right Monday. Yes, they suspended a player, and, in a rare occurrence, they even got the length of time of the suspension exactly right (when has that happened in the last ten years?). What they did was suspend star Giants’ wide receiver Odell Beckham Jr. one game for his ridiculousness during the Giants’ 38-35 loss to the still-undefeated Carolina Panthers on Sunday. This whole story started with the build-up to the much-anticipated matchup between Carolina Panthers’ cornerback Josh Norman and Beckham. It would be a collision of arguably the two best players at their respective positions in the NFL right now, and you could probably gather that there would be some bad blood between the parties. Of course, when there is such a highly-anticipated matchup, there is naturally going to be some ill-will, and indeed there was on Sunday. It started seemingly from the get-go, and Norman was the one who actually instigated the initial scuffling. His throwdown of the star receiver is what initially garnered the attention of the fans, referees, and even the FOX broadcast. After that, it was only 99.9% Beckham’s fault. You can watch an NFL-made highlight video of the matchup here; embedding the video from YouTube is not allowed by request of the maker of the video (the NFL). Anyway, Beckham was the guilty party on just about every play. It looked as if he was so rattled by Norman and the Panther defense that he was really more worried about getting his shots in against Norman and others when the play was over than running his route and trying to make a play during game action. But that isn’t even the problem, here, actually, it’s far from it. OBJ’s actions on the field Sunday weren’t just about a man simply losing his damn mind. They were seriously dangerous, and Norman, Beckham or anyone else playing for either team could have been severely injured as a result of his actions. You can see if you watch the video that Beckham threw multiple punches on Norman and even, on one play flew in like a missile, led with the crown of his helmet, and kinda sorta tried to decapitate the Panthers’ corner. That play and two others led to 15-yard unnecessary roughness penalties against the Giants, but none of those plays or any of the other reckless and stupid ones led to ejection. And that is the mistake of the officials working the game. Terry McAulay and his crew missed several surefire penalties over the course of the afternoon, and if they had gotten control of the game and Beckham earlier, most of the shenanigans that occurred between the two probably would not have happened in the first place. Once they did, however, there should have been no other course of action than to eject OBJ. So how did this start, other than with the matchup and the crazy hype? Come on now my boys carry the bat with them as it symbolizes my presence still being with them at the game and the NFL has a problem??? Basically, this has gotten to the point of being he said, he said. If Benwikere’s side of the story is true, then Beckham got too caught up in the game, the matchup, or whatever and just lost his damn mind. If the Giants’ side of the story is correct, then there is some justification for what Beckham did, but even then, his actions put people in danger and that is unacceptable no matter what happened before or during the game. All this being said, the NFL absolutely got it right here; Beckham needed to be suspended, and even though he is a marketable star player in the league’s biggest market, he had to be disciplined for what he did to the entire Panthers team, his own team, and even himself through his stupidity on Sunday. The NFL’s discipline of Beckham in this scenario is absolutely necessary, whether he’s the best receiver in football or the fifth receiver on the league’s worst team. So, for once, the NFL’s handling of a star player’s transgressions should be applauded. Let me ask you an honest question: in his twenty-one-year NFL head-coaching career, how many of St. Louis Rams head coach Jeff Fisher’s teams have actually been good? The answer, of course, depends on how you define good, so let’s put it this way: how many of Fisher’s teams have actually won a playoff game? The answer will surprise you: out of twenty-one seasons, Jeff Fisher-coached teams have won a playoff game in exactly three different campaigns. That may surprise you, considering the fact that his career started with the Houston Oilers and is still going today, but Fisher’s overall career has actually been one borne out of mediocrity more than success. And yet, Fisher is no different from that gift you get on Christmas but know you’ll never use: he’s difficult to get rid of, and you feel guilty if you’re the one who dispatches him. Jeff Fisher’s job is safe in St. Louis, despite the 5-8 Rams closing in on their fourth straight losing season under Fisher. Rams owner Stan Kroenke is likely stuck in St. Louis for another year, and he is focused on a possible move to Los Angeles and is not in the business of paying ‎people $6 million plus to leave for a product he isn’t all that engaged in right now, anyway. Fisher will be back with the Rams next season, meaning that they are more likely than not to be as hopelessly average as they are now. Why in the world has he lasted so long? Here’s one reason: there are a lot of unknown commodities when it comes to NFL coaches. Yes, the Rams could absolutely do better than Jeff Fisher, but it’s also important to note that they would also like to not do worse. Their choice essentially comes down to Jeff Fisher or any head coaching candidate they can find. And, if this guy is any indication, the waters of finding a new head coach can be pretty treacherous sometimes. That’s just one reason, and it’s really more of a supposition than it is conclusive deduction. But there should be something to be said for Fisher; according to a USA Today study in 2012, NFL head coaches actually have the longest average tenures out of the four major sports. The average length of that tenure? 4.39 years. Fisher is in his 21st. That should be commended. However, one cannot help but think that Fisher has been incredibly lucky in lasting this long. Here’s another exercise for you, the reader: try to guess Jeff Fisher’s career winning percentage, including last night’s 31-23 victory over the Buccaneers. You’re probably thinking somewhere in the high-50s, maybe even 60%. If you guessed that, you would be very wrong. It’s exactly 52%. Fisher has lasted in the NFL for just about 21 years and has a career .520 winning percentage. For context, Colts head coach Chuck Pagano has won two-thirds of his games in almost four years in Indianapolis and he’s about to get fired. Mike Smith won 58% of his games in seven seasons with the Atlanta Falcons, a run that included five straight seasons from 2008-2012 with at least nine wins. He did get fired after last season. Seriously, though: how? How does a man whose teams are consistently mediocre retain job status for, with the exception of the 2011 season, every year since 1994? Again, his first head coaching tenure started with the Houston Oilers. Maybe it was because of complacent owners who were fine with the status quo of mediocrity (more on one of those owners later). Maybe it was the weakness of the pool from which the Oilers/Titans and Rams would have to take a head coach from in the event that one of them fired Fisher. It could be either one. Jeff Fisher just isn‘t a very good head coach. Mind you, he isn‘t a terrible head coach. He’s an experienced head coach, with this being his 21st season prowling an NFL sideline. He’s been to a Super Bowl. Six times, teams he’s coached have won double-digit games. Of course, we just hit on part of the problem. 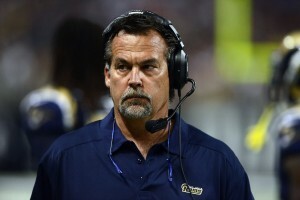 Jeff Fisher teams have won 10 or more games only six times in 21 years. Meanwhile, nine seasons with Fisher at the helm have ended with his team winning seven or eight games. The Rams appear headed for No. 10 in 2015. All of three head coaches in NFL history have lost more games than Fisher. All three have more playoff and Super Bowl appearances. Many more.  The statistic that Davenport provided showed the top four head coaches in terms of most losses in NFL history. Fisher was number four. Numbers one, two and three were Dan Reeves (one of the better and criminally underrated head coaches in NFL history), Tom Landry, and Don Shula. Not for nothing, but I would take any one of those three over Fisher in a second. That’s nothing against Fisher and his longevity, but those men had greater success, especially in January and February. I can’t honestly answer as to why Jeff Fisher still has a job in the NFL. What I can say is that it is virtually impossible for us to remove him; we can’t get rid of him and something tells me that we may not be able to anytime soon unless he decides to step away. His teams have been consistently mediocre, and nearly 21 years really isn’t all that small of a sample size, either. And it’s not like the Rams are magically going to get better under his tutelage next year (and the year after that, and so on). Which is grounds to have his lifetime pass to being an NFL head coach removed. Since 1988, former Oklahoma State running back Barry Sanders held the record for all-purpose yards with 3,250. In just 11 games, it was one of the most unbelievable records ever held in college football or any other sport, for that matter, and it was one of the few records that looked as if it might never be broken. That unbeatable record was smashed last weekend. 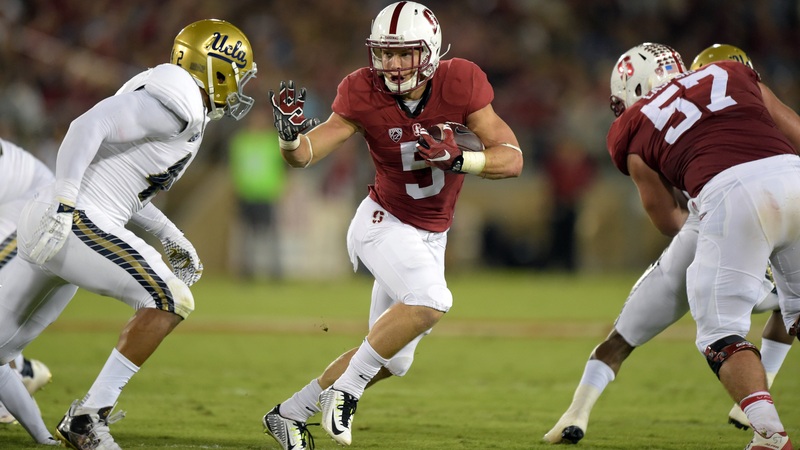 It was broken by none other than Stanford running back Christian McCaffrey. Before we go any further, McCaffrey broke the record in 13 games as opposed to Sanders’ 11. He also had 413 touches against Sanders’ 394. But forget all of that: he broke of the longer-standing and harder-to-break records in sports, and there should be something to show for that. But will that thing be a Heisman Trophy? McCaffrey will be in New York on Saturday night as one of three Heisman finalists, along with Alabama running back Derrick Henry and Clemson quarterback DeShaun Watson. According to OddsShark, Henry is the overwhelming favorite to win the trophy, with McCaffrey far behind and Watson even further off the pace, and many prognosticators think he is going to win the award. I think he’s going to win it. 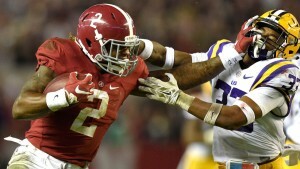 It is almost a foregone conclusion that he is going to be the Heisman Trophy winner in 2015, but should he be? According to statistics, the answer is no. For starters, McCaffrey obviously has more all-purpose yards than anyone else in the field (all-purpose encapsulates rushing, receiving, and punt and kick return yardage). With that out of the way, he still deserves the Heisman over Henry. There are plenty of reasons why he should win the Heisman, but the main one is that we, as college football fans, have just never seen anyone have such a great season in the sport in a long, long time. While the seasons of Henry and Watson have been incredible in their own right and would be worthy of winning the award in almost any other season, McCaffrey’s season has not just been really good; it’s been historic. It has transcended the usual year-to-year performances that are rewarded with trips to Gotham; this is a performance that should be rewarded with acclaim for decades to come. This was one of the greatest seasons ever, and it should be rewarded with a Heisman. One of the reasons, however, that McCaffrey will likely fall short of winning the sport’s greatest individual honor is because of team performance. Out of the three teams of finalists for the trophy, McCaffrey’s Cardinal are the only one not represented in this year’s College Football Playoff. The reason is two losses, one in September to Northwestern and the other in November to the team’s biggest rival, Oregon. McCaffrey only struggled in the Northwestern game (he only rushed for 66 yards) but even in a game in which he supposedly faltered, he still had 171 all-purpose yards. In the Oregon game, he had 244 all-purpose yards. No blame can be laid there, and it really wasn’t his fault that Stanford lost either game. As for Henry, he was able to amass 166 rushing and receiving yards in Alabama’s one loss to Ole Miss. Watson did not lose, so it’s impossible to see what he would do with his team on the losing end. Here’s the thing, though: McCaffrey is impossible to stop. If a defense holds down one area of his game, it quite possibly opens up another. He can’t be held down, and the best defenses can hope to do is contain him. Or, a defense could do what USC did and stop no areas of his game. He’s one of the most tantalizing players the game has seen recently, and it’s just difficult to completely shut him down. That’s not to say, of course, that it’s easy to contain Henry, but if a defense is somehow able to take away his inside running game and not let him get the edge for big plays, he can be contained. He’s not really going to kill you out of the backfield as a receiver or as a return man. McCaffrey can do literally everything for the Cardinal offense, and he’s the main reason the team has gone from 72nd to 27th in total offense in FBS this season. He’s the main reason; there aren’t any others. Alabama’s team offense was 9th in major college football last season, and it’s 34th this season. To be fair, the offense lost wideout Amari Cooper and quarterback Blake Sims, but Henry has not been able to carry the offense the way McCaffrey has. That’s really cool. That shows you just how much his teammates want this for him, and how much they appreciate how he’s carried the team over the course of the season as well. So while other candidates will get more consideration and are deserving of attention, there’s one man who should be the surefire winner of the 2015 Heisman Trophy. He won’t be, but hopefully we can remember in the future just how great he was this season. That man is none other than Christian McCaffrey.